Did someone sit on the Xbox One? 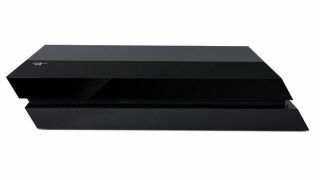 There's no denying that one of Sony's shining moments during its PS4 E3 keynote was taking a swing at the Xbox One's connection requirements, but that doesn't mean the new PlayStation won't be embracing the opportunities of online. As the PS4 presentation began to draw to a close, Sony announced it will soon be providing streamed PS3 games over Gaikai, the cloud service it purchased last year, starting 2014. Still waiting to make the leap to next-gen? Here's our up-to-date PS4 review. PS4 and PS3 owners will be able to access a library of PS3 titles, while streaming support for the Vita will come later in the year. The streaming service will go live in the US first starting 2014 with others to follow after, though we're yet to hear when that might be. The new service is Sony's way of dealing with backwards compatibility, which the PS4 cannot offer directly due to the shift in architecture. However, only a limited number of PS3 titles will be available to begin with, said Sony. We contacted Sony to ask when we might expect to see the service rolled out globally, and will update when we hear more.